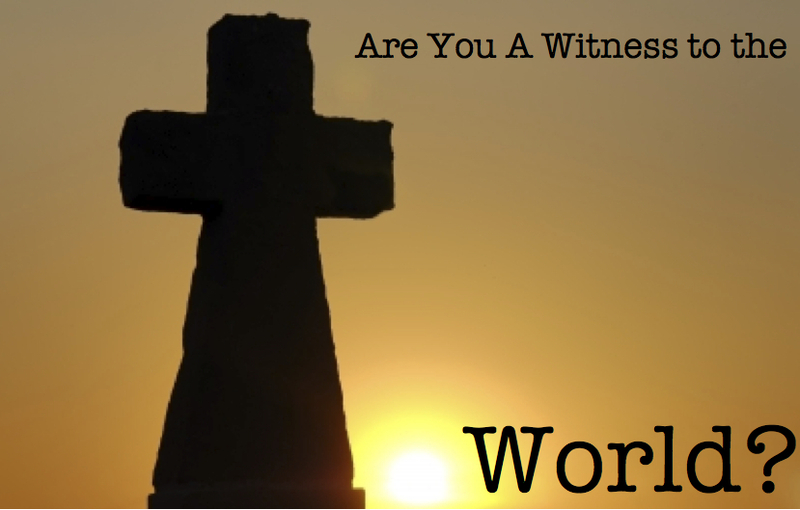 Are You a Witness to the World? Paul tells us the way we live should be worthy of the gospel of Christ. The purpose of such living is to be a witness to the world. In order to understand how this works out, let us look at what Paul is telling us to do. As believers, Paul desires we stand firm in one spirit, striving side by side for the faith of the gospel. In other words, Paul is telling us to have the same intent (spirit) and same feelings (mind), which is to see the gospel message spread to the world. As we stand unified in our spirit and mind, striving side by side for the gospel, we are not to be frightened by those who oppose us. It is only natural that we will be opposed, and Paul even tells us it has been granted to us, by God, that we face persecution. He tells us the same God, who granted us our salvation, also granted us to suffer for Christ’s sake. When we stand unified and strive together for the gospel message, even in the face of persecution and suffering, we prove our salvation and Christianity to be true, because the only way we can stand strong is through the work of the Holy Spirit in our lives (Phil. 1:19-20). We also prove the message of those attacking us to be false. So then, through our collective desire to see the gospel message spread and our willingness to suffer for the sake of Christ, we act as a sign of destruction for those who oppose Christianity. Meaning Christians do not face persecution without reason, it actually is granted to us by God to suffer for Christ’s sake, so that we can be a witness to the world for the gospel message. Do You Know Your Identity Idols?